In September 2007, Romey decided it was time to leave the band and concentrate on her other musical interests. The band decided that it needed to recruit another instrumentalist and they didn't need to look any further than Alice's husband, Bruce, who could add keyboards and vocals to the line-up. Bruce joined in October 2007. It was also thought to be the right time to add drums to tighten up the band's sound. After adverts were placed, auditions were held at the beginning of 2008 and Ray Cornish was asked to join as a session drummer for concerts. He joined the band for a couple of rehearsals at Abbey Music Studios in May. Subsequently, in July, he decided to leave as he was asked to re-join a Four Seasons tribute band that he had been part of and was reforming. Fate intervened in a fortuitous phone call from John's former college friend, Derek Hudson, who had followed the band from the earliest performances at the St Martin-in-the-Fields Crypt folk club, saying he had seen the advert and had taken up the drums, and asking if the band still needed a drummer! And so the current line-up came together in July 2008 and started rehearsing new material that John had been writing through the summer and autumn of 2007 and early 2008 and was being recorded for what would be the fifth album, Earth, Wind, Fire and Rain. With the larger line-up more space was required and rehearsals were divided between Tweeters rehearsal rooms in Leatherhead and Derek's loft room in deepest Kent. 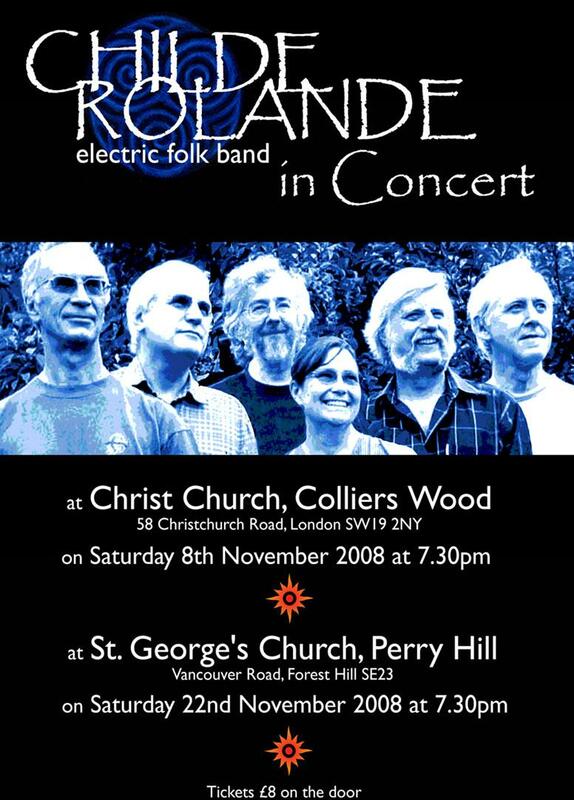 The new line-up played their first live performance at a concert at Christ Church, Colliers Wood, in November 2008 with their second, just two weeks later, at St George's.